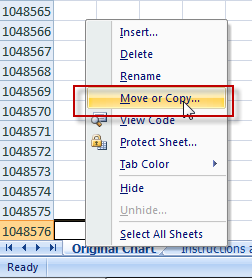 So that everyone can use my Excel Charts and Dashboard Templates, I typically save my files in an Excel 97-2003 format. There are other good benefits of this file type, but we can talk about that on another day. 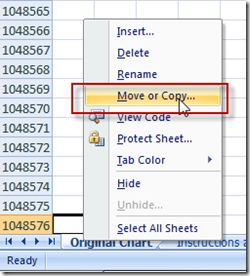 Since most of my files are in the 2003 format, it sometimes causes me problems when I work between 2003 and Excel 2007, 2010 or now Excel 2013 format. Here is an error that I recently received. Based on the error, it looks like I need to change the Excel workbook to the new Excel 2007 or greater format. and the previous Excel 2003 format only has 65,000. So you can’t copy or move a worksheet from the latest format to the older 97-2003 format. 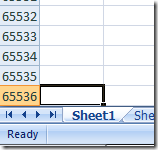 And when I check the rows in the worksheet, it still only has 65,000 rows. I then started checking all the settings in the workbook and application and started to pull out my hair, but, luckily there is a very simple fix. 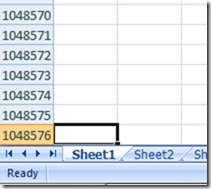 It appears that all we needed to do was CLOSE the destination file after you have saved it as the Excel 2007 or greater format and then reopen it. Once you do, you will now see that it has over 1 million rows. Even thought I am losing my hair, perhaps I can save you from pulling yours out when dealing with Excel. Sorry I have been away for a little bit, had a few life issues come up, but I should be posting regularly again over the next few weeks. Your post got me to wondering. When MS go to Office only (Office 365) in the cloud. I would imagine that they will initially only support one version (the newest) of Excel. 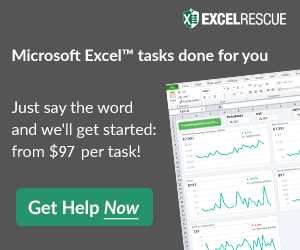 Will everyone that wants to use 365 have to convert all their old Excel workbooks? My internet provider (Time Warner) was out in my area last week for over 24 hours. 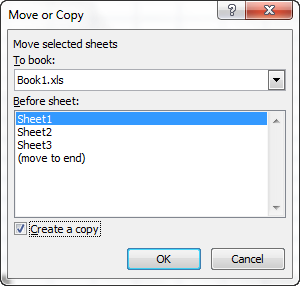 What would I do if my copy of Excel was in the cloud? Maybe they will give you a hard copy in addition to the cloud. I’m just ranting at this point.